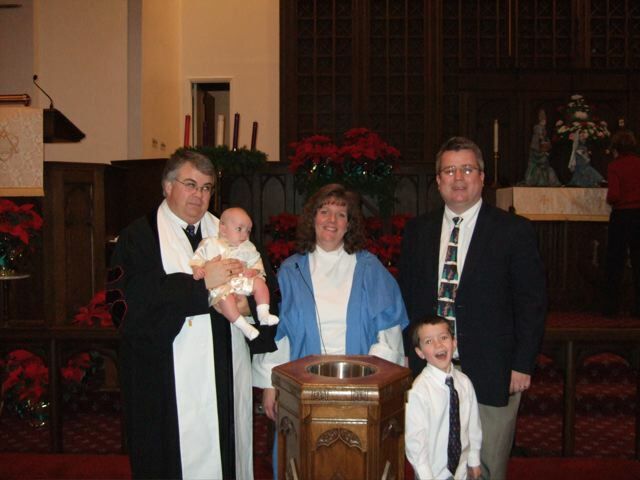 According to this story, Christmas eve was a popular choice for baptisms at United Methodist Churches in West Virginia this year. Not only was our son Jonah baptized last Sunday, but Jennifer Garner and Ben Affleck's daughter Violet was baptized at Christ Church United Methodist in Charleston. The story quotes our friend Rev. Randy Flanagan, who pastors Christ Church, "members of the congregation weren't star-struck or didn't show it too much when the Hollywood couple showed up on Christmas Eve with their daughter." So far, there has been "no comment" from members of our congregation whether they were star-struck or not at Jonah's baptism at Johnson Memorial UMC. After all, Jonah made his acting debut as the Baby Jesus during "The Little Drummer Boy" earlier this month, so it's possible.